Empower and Enable is about empowering and enabling you to get the most out of your life. Sometimes we feel that our life is in a rut and we are not making progress. We get frustrated when we feel that life has stagnated. We go round and round thinking the same thoughts and feeling the same feelings and experiencing the same experiences. This causes a whole raft of mental and emotional problems which have an effect on our day to day functioning. This has an effect on our relationships with family, friends, and work colleagues. It has effect on our school work and/or employment. It effects our ability to carry out basic every day functions. We lose enjoyment in activities we previously enjoyed. There is a technique which can improve the way we feel in just 2-3 sessions. This technique is known as Thought Field Therapy TFT for short. which is a simple tapping technique that uses specific sequences to tap on the face, body and hand as well as eye movement, counting and humming which produces amazing results in its ability to Tapping Spots On The Face, Hand And Body rapidly relieve emotional health problems. One could not imagine that something so simple can produce such profound changes in such a short space of time, yet, time and time again it has been proven to work. TFT is the most effective method of relieving emotional distress in minutes and creates sustained changes. People say, ‘I just feel better’. If you find yourself saying, ‘I wish I could feel better’, I wish I didn’t feel like this’, but you don’t know what to do, then TFT is definitely for you. The days of distressing, overwhelming and controlling feelings is over, you no longer have to feel the way you do. 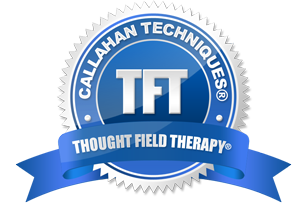 Using Thought Field Therapy TFT, I have successfully treated numerous children and adults with amazing results. I am utterly convinced that Thought Field Therapy is the quickest way of achieving emotional stability.